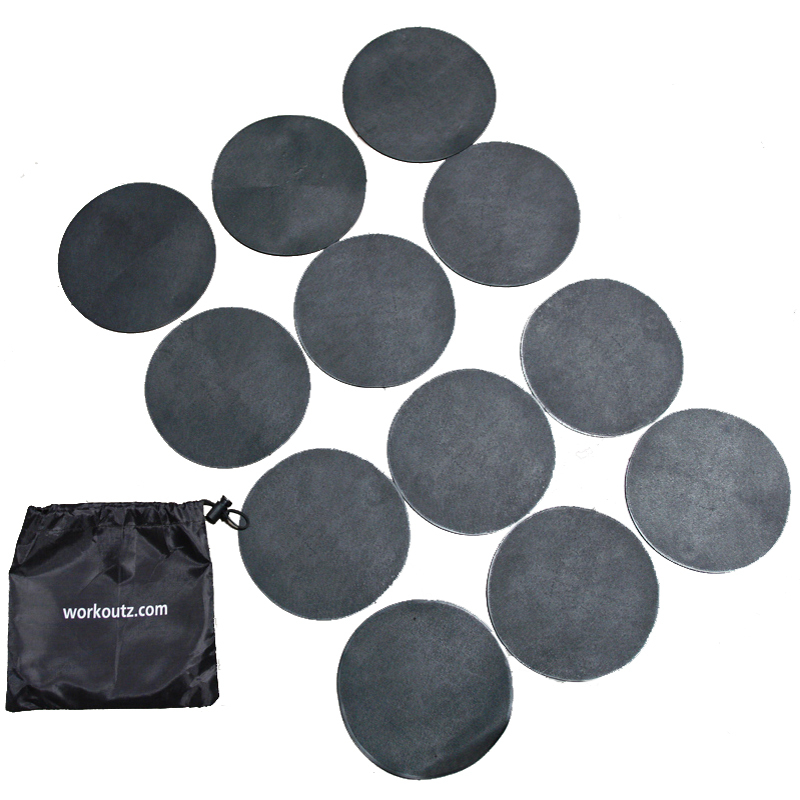 Includes a set of 12 agility dots plus drawstring carry bag. Improve agility, balance, strength, and coordination by jumping from dot to dot in your own creative patterns. 8.25" diameter agility dots. Made from rubber material. Black Set.